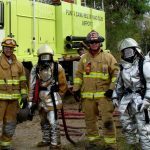 Whether a veteran firefighter, just decided to become a firefighter or you want to secure that your company provide assist for emergency challenges that may arise, WWESI can meet that need. We are involved in positions that are highly visible and all WWESI’s field associates as responsible national leaders, understand these challenges, and responsibilities. We offer proven methods to improve your effectiveness. All WWESI work progress is measured against a work plan, timetable, budget, and list of deliverables. Project team members are available for the duration of the project. Throughout the project, team members will frequently confer to discuss any and all progress. Frequent conferences ensure we address any new or unanticipated issues. Our project management methodology ensures that services and activities are efficiently conducted and are focused, coordinated, and logical. Training and emergency management planning will improve your staff’s ability to respond to an incident quickly and effectively. Be it a natural disaster, terrorism or any other catastrophic event, we will make sure your team is ready. WWESI provides an impartial organizational audit detailing an agency’s capabilities, limitations, support programs, and services. This report will serve as a valuable tool for executives and managers. It is useful for a number of other planning and review purposes, in assisting organization with such activities as preparation for the planning process, accreditation, ISO grading, cooperative services, compliance with mandates, capital improvement, and replacement strategies. The evaluation process is very flexible. When used in its entirety, the program is broad in scope encompassing the entire organization. Each audit component can be customized or tailored as required. • Does your plan meet OSHA and NFPA requirements? • Has your plan been reviewed and updated? • Have you provided your staff with necessary training? • Do you have the right equipment? All of WWESI services, approach to an organizational evaluation is designed to be non-threatening, unbiased, and progressive; thus ensuring that your organization and community receive the highest quality service at a reasonable cost. Knowing the strengths and weaknesses of an organization yields a distinct advantage to emergency service managers and executives. The Emergency Service Evaluation offers customized options and solutions to complex organizational problems. All of WWESI services, including the approach to an organizational evalutation are designed to be non-threatening, unbiases, and progressive; this ensures that your organization and community receive the highest quality service at a reasonable cost. Besides the classes offered in our catalog, we can provide several other custom courses for your group or Law Enforcement organization. These include, Dignitary/Executive Protection Training, ASP, TASER, OC (Pepper Spray and Chemical Agents) and Active Shooter Scenarios. 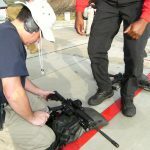 We can also provide on site armorer services for a large variety of weapon platforms including, H&K(MP5, UMP, BTG, HK416, G36 and handguns) Colt, Glock, SAGE, TASER, Remington (M700, 1187, 870) Sig Sauer and most 1911’s. VIP and Executive Protection escorts can also be arranged on a case by case basis.